I use to go there in late 70s early 80s for the butter cake it was and still is the best I've had !!! Any pics of the old woman who worked there then ? I always assumed she was the owner. She was always nice !!! I was a teen back then and would eat the entire butter cake walking back to my neighborhood, which was down by torresdale and Howell. Good old days !!! Yes Tyler, the "old woman" always behind the counter in those "Good Old Days" was Mrs. Haegele, first generation owner. 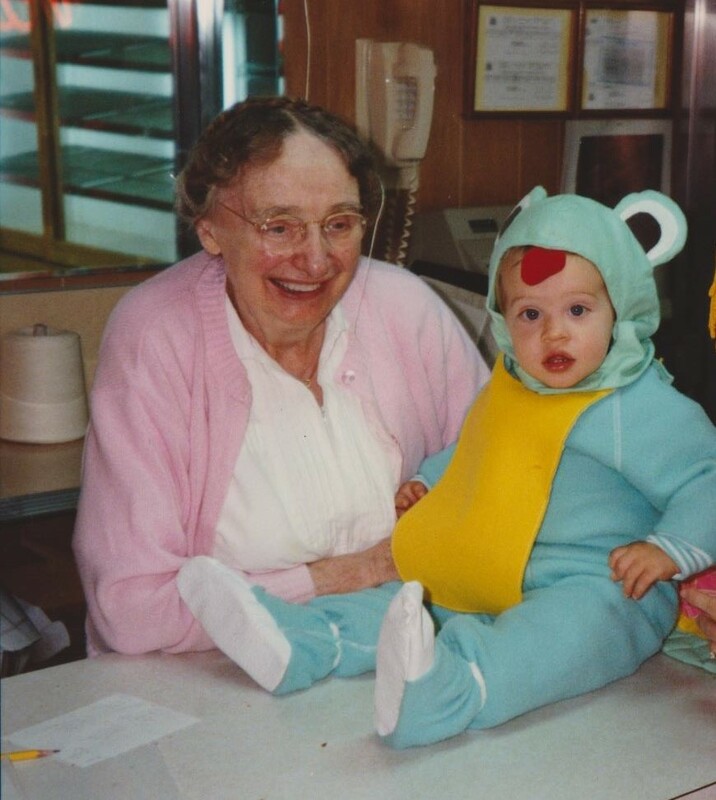 She stood behind the counter from 1930 when our doors opened, to 1996 the last year of her life. The picture above was taken in the late 80's. It doesn't seem to matter whether you're looking at a picture from the 50's or the 90's... Mrs. Haegele always looked the same, and she was always smiling. 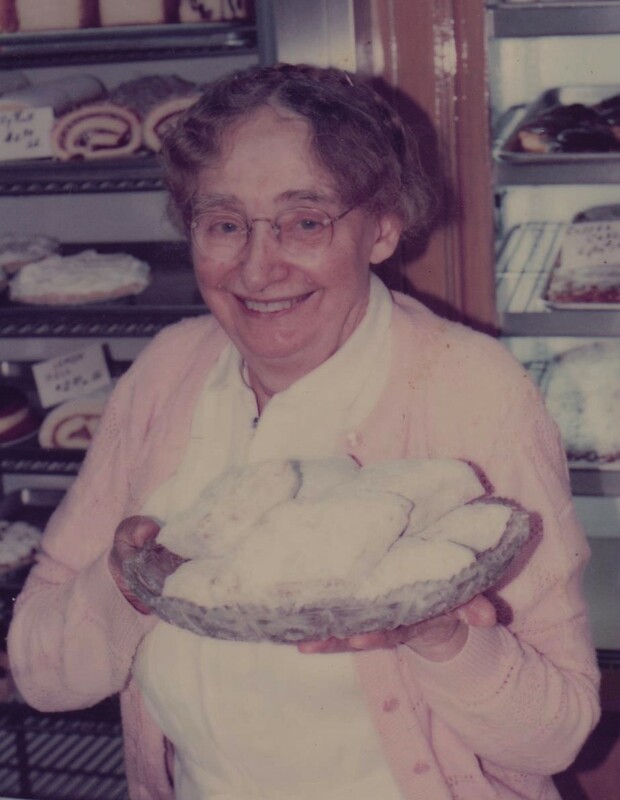 Never proud, never pretentious, and with true humility she loved being known simply as "The Cookie Lady", the one who handed you a free cookie as a child when you visited the bakery. It's of no surprise then, that you really never knew whether she was the owner. As a teenager, you would have stood a bit too tall for that free cookie, but you certainly were the recipient of her kindness as you mentioned in your own words. Mrs. Haegele was "mom" to Richard and Jeanne, 2nd generation owner, and "mom-mom" to my husband Glen and I, 3rd generation owner. To our children, 4th generation in the ranks, she was "bakeshop mom-mom". To many she was "the Cookie Lady" or "the lady behind the counter". But, to everyone she was remarkably kind! She left us with a wonderful legacy and a tradition we so proudly continue! We're still giving out cookies and tying up buttercake, and for many "the good old days" are just happening. Teenagers are still picking up buttercake as they walk home from school. We always know what their intentions are when they ask us to "leave the string off". Yup...an open box of sheer sugary delight in the hands of a teenage boy... it never survives the walk home, whether down to Torresdale Ave. or just the other end of Barnett Street. And apparently it's a taste one never forgets!! !